The middle of the week may seem like a dull time, but with the NBA serving up some great action, there is no need for the midweek blues. There were a couple of excellent matches on Tuesday night and Wednesday is shaping up in the same manner. The Pistons finally got back to winning ways, shocking the Raptors in Detroit by a score of 108-104. It was a close one in Milwaukee as the Bucks just outgunned the Heat by a score of 89-88 and it was another close one in Sacramento with the Kings just beating out the 76ers by a score of 107-106. The Thunder grabbed a home win against the Lakers, defeating the Los Angeles side by a score of 127-117 while the Mavericks were worthy winners against the Spurs, winning by 101-94. The Trail Blazers were undone by the Warriors, with the Portland side losing by 108-122. This is a game between two teams who are on bad losing runs, so at least something has to give in this match-up. The Wizards have lost three games in a row and Monday night’s 107-76 defeat at the hands of the Warriors was highly embarrassing for the time. However, the Pacers are on a six game losing streak so they can hardly be feeling confident at this moment in time. The Pacers hold a 30-40 record and this includes a road record of 12-22. Their current losing streak of 6 sees them sit with a 4-6 record in their last 10 games. Their most recent game was a 100-110 home loss against Houston. 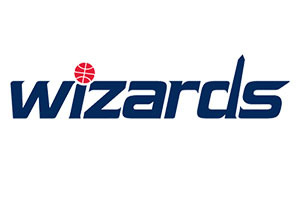 The Wizards hold a 40-31 record and this includes a 25-10 record at home. Their losing streak of 3, including that loss to the Warriors sees them sitting with a 6-4 record in their last 10 games. With respect to average points scored, the Wizards lead 98.2 to 96.6 while for average points allowed, the Wizards are ahead 97.6 to 97.0. The Pacers are still without Paul George while they monitor the fitness of Rodney Stuckey and David West. The Wizards are likely to be without Kris Humphries. 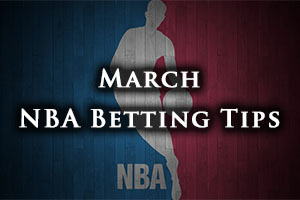 Taking the Wizards at -3, and at odds of 1.90, is likely to be a safe bet. Bet Now! The Hawks have crumbled slightly in recent times, losing three games in a row for the first time this campaign. Their most recent defeat, a 95-114 home loss to the Spurs was a cruel one to take as the San Antonio side raced into an early lead and never looked back. The Hawks hold a 53-17 record this season and this includes a road record of 23-12. They have lost three games in a row and sit with a 5-5 record in their last 10 games. The Magic have a 22-50 record going into this game which includes a home record of 12-23. They lost their most recent game, a 100-119 home loss to the Nuggets and they hold a 3-7 record in their last 10 outings. For average points scored, the Hawks are well ahead, 102.6 to 96.1 and for average points allowed, the Hawks lead by 97.4 to 102.1. The Hawks are likely to be without Kyle Korver and Thano Sefolosha while the Magic has doubts of various degrees over Evan Fournier, Dewayne Dedmon, Channing Frye, Willie Green and Tobias Harris. Taking the Hawks with a -8 handicap, at odds of 1.90, should help you to get some return from Wednesday. Bet Now! The Western Conference has been a tough one this season and this is likely to be a massive clash between two sides who have genuine ambitions of going all the way in this season. The Cavaliers have played very well, and achieved strong results, against their opponents at the top of the West but Memphis is a place that they have regularly struggled in. 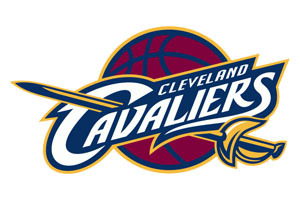 The Cavs have a 46-26 record this season including a 20-17 road record. They have won their last three games, including a 90-108 road win in Milwaukee, and the Cavs hold an 8-2 record in their last 10 games. The Grizzlies hold a 50-21 record which contains a 27-7 record at home. The Grizzlies have also won their last 3 games in a row, which includes an 82-103 win in New York on Monday. This won took the Grizzlies to a 6-4 record in their last 10 games. For average points scored, the Cavs lead by 103.5 to 99.1 and for average points allowed, the Grizzlies have an advantage of 95.2 to 98.7. The Cavaliers are likely to be without Anderson Varejo while the Grizzlies are tipped to be without Jon Leuer and Courtney Lee is a slight doubt. Tipping the Cavs with a -2 handicap, at odds of 1.90, could help to keep the midweek exciting this week. Bet Now!